Hello and welcome back to Early Bird Breakdown. It’s week eleven of the regular season. Before diving into the breakdown, let’s look back to last week’s game. Last week the Packers traveled down to do battle with their eternal Illinois rival the Chicago Bears. What a game it was for the Packers. The defense led by Nick Perry, who notched three sacks, was great and Brett Hundley had his best game of the season. While Hundley’s numbers weren’t eye-popping, he was incredibly efficient and made some brilliant throws down the stretch to lead Green Bay to a 23-16 win. Hundley will need to be even better this week than last as the Packers host the league’s second-best pass defense in Baltimore. He had some gutsy throws to edge out Chicago and will need to make plenty more of those for Green Bay to win against a much more superior opponent than the Bears. He also will need a better game from the running game to take pressure off of him. Third-string running back Jamaal Williams once again will get the start with Ty Montgomery and Aaron Jones both out once again. He only averaged a meager 3.3 yards per carry last week and with Baltimore’s Achilles’s heel being the run his performance will need to be better to take pressure off of Hundley. This matchup will be fairly similar to last week despite the on paper difference of a Super Bowl winning quarterback in Joe Flacco versus the rookie Mitchell Trubisky. The reason why is that Falcco has been wildly ineffective and prone to turnovers. Not to mention Chicago was 28th in total offense and Baltimore ranks 29th. Green Bay should be in good position for another good showing defensively. Nick Perry had a fantastic game last week and while three sacks is a lot to ask for again, I expect him to have another big impact this week forcing errant throws. While Flacco has more experience (obviously) than Trubisky, Trubisky is more athletic and Flacco is a statue in the pocket which will be an easy target to bring down for Perry and Mike Daniels. I expect Green Bay’s defense to be dominant once again against one of the league’s worst offenses. The weather will be chilly but fairly pleasant for this time of year, around 30 degrees with no wind or precipitation. The Packers on both sides of the ball looked pretty impressive last week overall. The Ravens come into Green Bay favored but have been struggling offensively. If Hundley can play turnover free ball this week I am not sure the veteran Falcco can do that on his end. 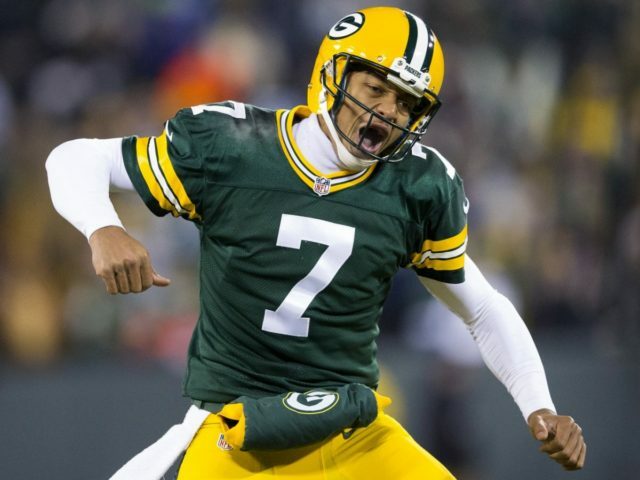 Despite being underdogs, Hundley has steadily improved and the Packers rarely lose at home in December. I think Green Bay squeaks out the win 20-16. This entry was posted in Early Bird Breakdown, Stuart Weis and tagged Aaron Jones, Aaron Rodgers, Brett Hundley, Green Bay Packers, Jamaal Williams, Mike Daniels, Nick Perry, Ty Montgomery. Bookmark the permalink.